One Culture Football support work is all about being healthy, active & staying engaged within the community! One Culture Football can help you achieve your goals on and off the pitch or to simply be that constant support in your everyday life! Do you want to stay active, healthy & engaged this school holidays? Our team of support workers is pleased to assist you and help you stay connected with your local community! Our friendly Support Worker Mell is 24 years old. Born in Brazil, Mell speaks both English and Portuguese. She loves all sports but is especially interested in dance, kickboxing and soccer. She loves to have fun and listen to music. She goes for two football teams, Fluminense in Brasil and Barcelona team in Europe. Mell’s aim as a One Culture Football support worker is to bring joy to the kids, build friendship's and help them grow. Meet Harley, he is 25 years old and loves all things sport! Harley supports Arsenal F.C and enjoys training during the week but in his down time likes to read and watch Netflix. 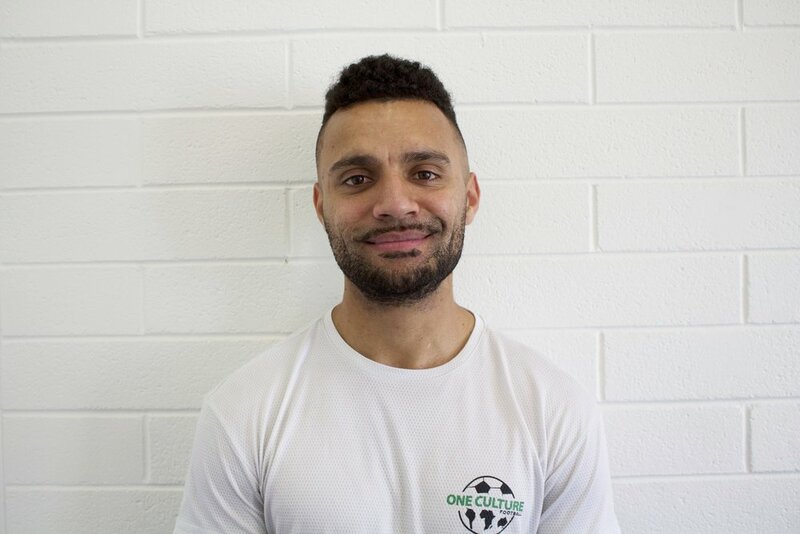 With a humorous and respectful demeanour, his aim as a One Culture Football support worker is to help young individuals within their community by being a mentor to them. Meet Taha, he is 26 years old and speaks both Arabic and English. Taha is extremely positive and respectful and loves to play football or head to the gym. He is a passionate Manchester United fan and also likes to keep fit in his spare time. Taha’s aim as a One Culture Football support worker is to help participant’s engage in football whilst focusing on their confidence to help them develop their motor skills. Our friendly support worker Natasha is 21 years old. She is very artistic and enjoys wood burning and drawing in her spare time. She also enjoys playing netball and reading. Natasha is a strength and conditioning coach and is very passionate about health and fitness. Natasha’s aim as a One Culture support worker is to help kids achieve their goals and to create a positive impact on them. 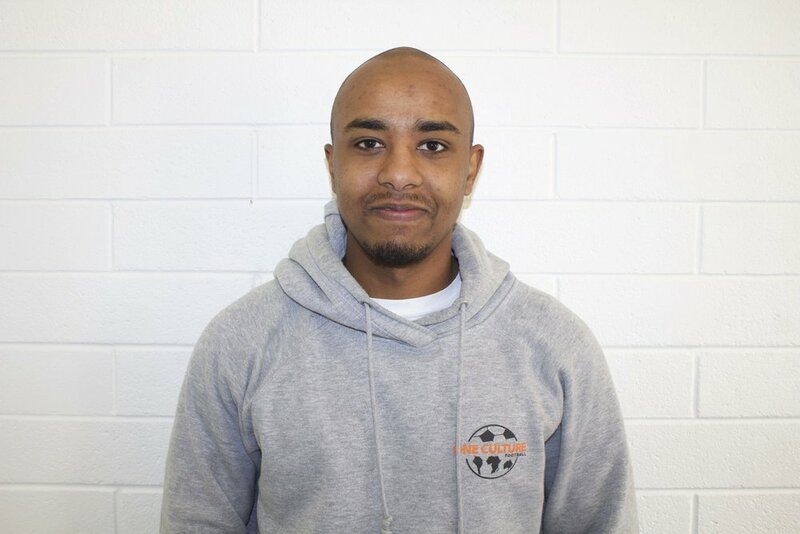 Meet Yassir, Yassir is a 21-year-old youth mentor and ambassador. He is passionate about all sports but particularly enjoys football with his favourite team being Real Madrid. He also enjoys hip-hop dancing, public speaking and can speak English, Arabic and basic French. Yassir’s aim as a One Culture support worker is to share his passion and love for football, draw a smile on kid’s faces and bring joy and happiness to people’s hearts in the process. He would like to develop great relationships within the community and get kids more involved with sports. Our support worker Zahra is 22 years old. She is very talented and speaks many languages that include; English, Urdu, Hindi, Farsi / Persian, Hazaragi and Dari. 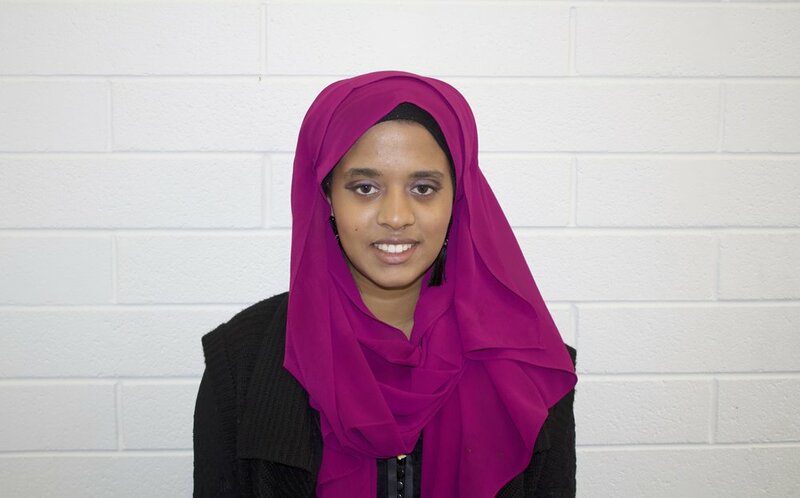 Zahra is always very organised, friendly and helpful and likes to spend her spare time listening to music, watching movies and going for walks along the beach. Zahra’s aim as a One Culture Football support worker is to help kids to build their confidence, develop friendships, and to help them to achieve their goals. Our Support Worker Hana is 19 years old and loves to plan events and play soccer with her favourite team being Liverpool F.C. Hana is extremely friendly, energetic, and enthusiastic and speaks both English and Arabic. Hana’s aim as a One Culture Football support worker is to be able to help people achieve their goals. She believes that sport is an amazing tool to help achieve this, as it helps develop a sense of community, belonging and this feeling alone can drive people suceed. Meet our enthusiastic and easy going support worker Ryan. 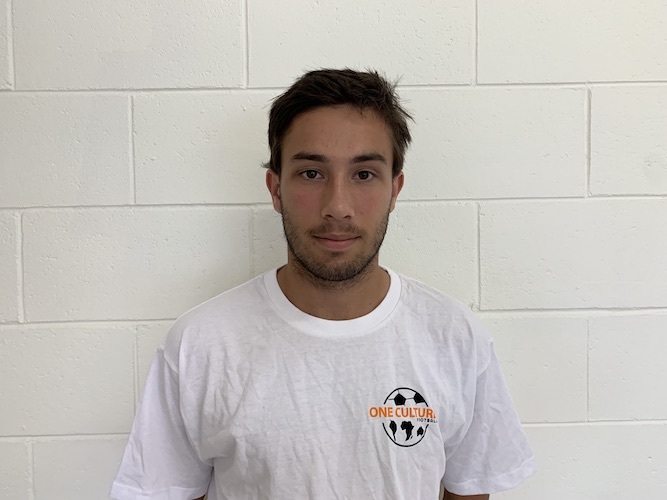 Ryan is 19 years old plays football part time and studies aged care. His favourite football team is Manchester United and in his spare time enjoys playing football and listening to music. Ryans aim as a One Culture Football support worker is to be a role model to the young people and become someone they can come to for support. 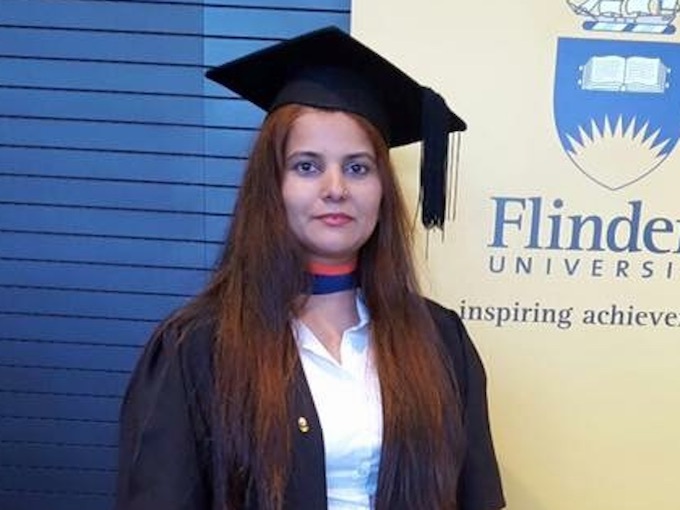 Meet Shazia, she is 45 years old and speaks English, Urdu, Punjabi, and Hindi. Shazia is very creative, diligent and enjoys reading. She is also is very passionate about volunteer work and supports Barcelona F.C. Shazia’s aim as a One Culture Football support worker is to facilitate people living with a disability to access the physical, social, economic and cultural environment. “If I cannot do great things, I can do small things in a great way"
Meet our 23 year old support worker Doni. Doni has played football since he was very young & supports Arsenal FC his interests are in sports, travelling & social work! Doni is motivated, caring & a friendly person to be around. 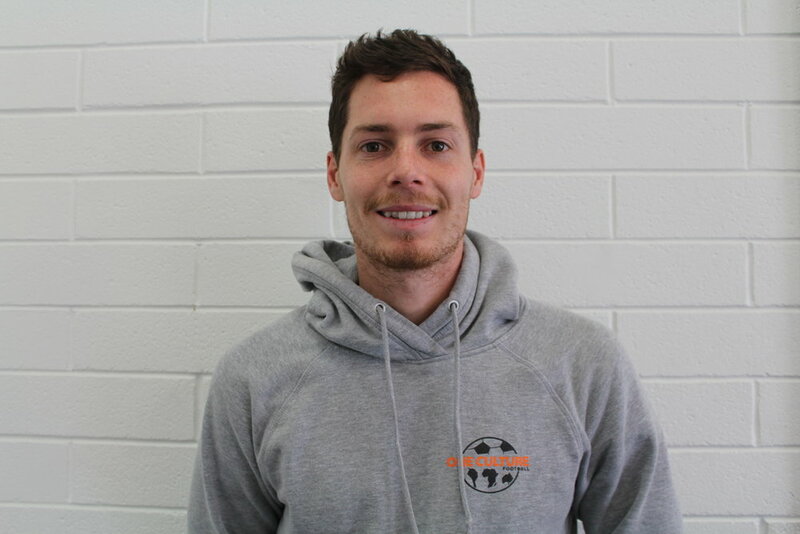 His aim as a One Culture Football support worker is to develop young people's soccer skills & help them make new friends through the love of the game. “you will never influence the world by being just like it"